Despite its delay from an original December release, Zen Pinball 2 is still very much on the radar for those eager for a new download on the Wii U eShop. It'll also be the first game on a Nintendo system to follow a structure of a free download accompanied by paid content. Naturally with a multi-platform download coming to a Nintendo platform there can be a focus on price. Some developers have stated that greater freedom is now given by Nintendo when setting a price; when asked about the issue for Zen Pinball 2, Zen Studios answered on its own forum to state that the pricing will match that of the equivalent releases on rival platforms. It's expected that there'll be a high number of tables available — with free trials — on day one, but what do you make of these prices? Don't forget to check out our recent developer interview with Zen Studios to learn more about its pinball releases on Nintendo systems. Thanks to Chris Ruston for the tip. So the game itself worths $10, but I like the idea of downloading full game for free and expanding it through microtransactions. Kinda like PC games such as TF2 or DC Universe Online. I support anything that adds another tile to my meager Wii U menu. Each pack is comparable to the releases of Zen pinball we saw on 3DS eShop, 4 tables in a single buy. @Azooooz TF2 isn't really a good example, but I see what you mean. I don't like pinball games, so I will pass on this one. Well if I have some spare cash than the pinball tables are a worthy concideration. It's a good price for what you get - assuming the leaderboards etc are as comprehensive in the game as they are on the other platforms. DLC = Evil. 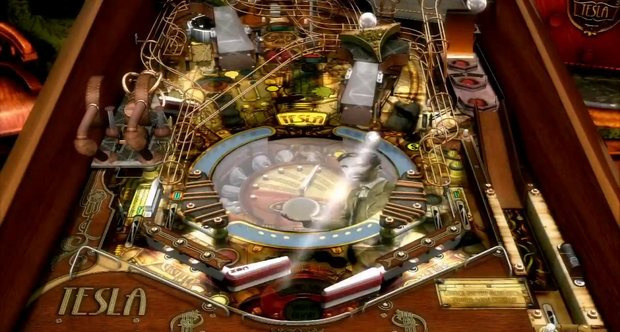 I love pinball, looks really cool and all, but can't do it. I got WIlliams Pinball for the Wii for $11 new, and it had llke 12 tables. I'll play that. I'm up for some pinball. No matter how you slice it, the 10-for-4 pack is the better deal. I just wonder how many tables there are in total, at least at launch. I got the predecessor on my 3DS, but I'm considering getting this one. 50 dollars are ready to go for this. Come on zen! Im a bit confused: Zen Pinball 2 is the "same" as ZP1 but with enhanced physics and what not ? Seems decent. I pay £2.99 for a new two-pack release in Pinball Arcade on my iPad. So... free to download and play but you pay for more tables? Is that right? $3 per table? I'll just go with the four pack if I ever pick this up. @speedyExpertist Yes, the initial platform is a free download with one free table included. You then can buy additional tables to play. It is reported that we will be able to try out the tables bwfore we purchase it. Can see it being €10 for a 4 pack but I don't care I love zens tables on both the 360 and 3ds so I will have no problem buying a 4 pack table. Unfortunately in those same forums the Zen rep said they haven't even had talks with the right people from Nintendo about Nintendo themed tables. Sounds fair enough with us being able to choose what tables we want, although the 4/$10 is obviously the best way to go. That's fine by me tbh, I actually haven't DL'd the pinball games on my ipad because of space restricitions. Want more tactile controls as well. Good stuff but I only ever downloaded the Halloween pack on my PS3. Looks REALLY nice. Please bring to the 3DS!